Knitting Like Crazy: Greetings from Portland! Greetings from Portland! I landed this afternoon and was greeted with some perfect weather. 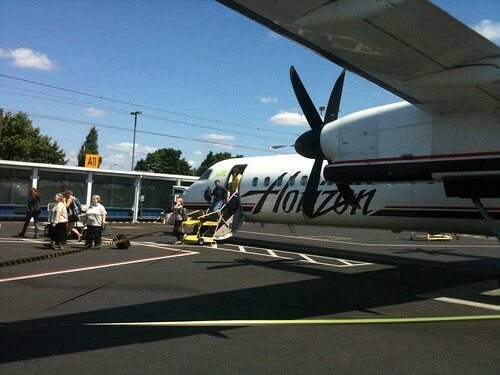 I love that I was on a little plane (I flew to Seattle from Chicago and then made the quick flight from Seattle to Portland) and exited right out into the lovely weather! 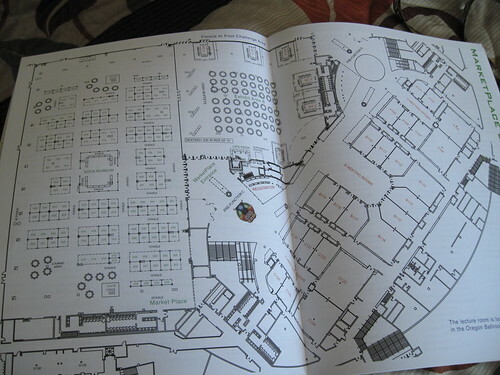 After a quick train ride, I checked into the hotel and then went immediately to the convention center to pick up my stuff. It's official. I have the badge. It's Sock Summit time baby! Now I'm back at the hotel room, just chillin' out, and plotting my plan of attack when the marketplace opens to students tomorrow afternoon. What's in the bags you ask? Well, in the black bag is the Mystery Sock for the Mystery Sock KAL. Certainly, I can't show you that. It would ruin the fun! 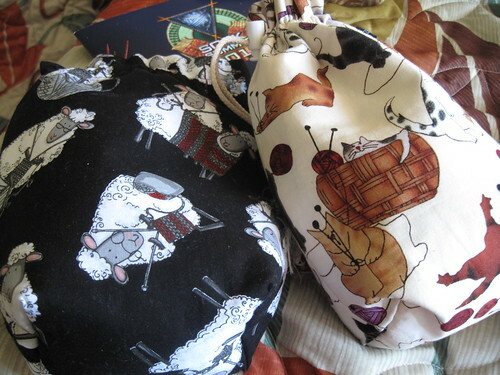 The kitty bag has some Sockalicious, so I can work on a pair of my new River Run mitts! If you are in Portland, what are you up to tonight? Anything fun I should know about? 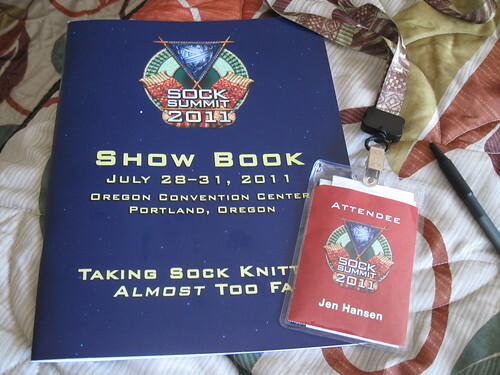 If you are not in town for Sock Summit, is there anything you would like to here about this weekend? I can try to get the scoop for ya!